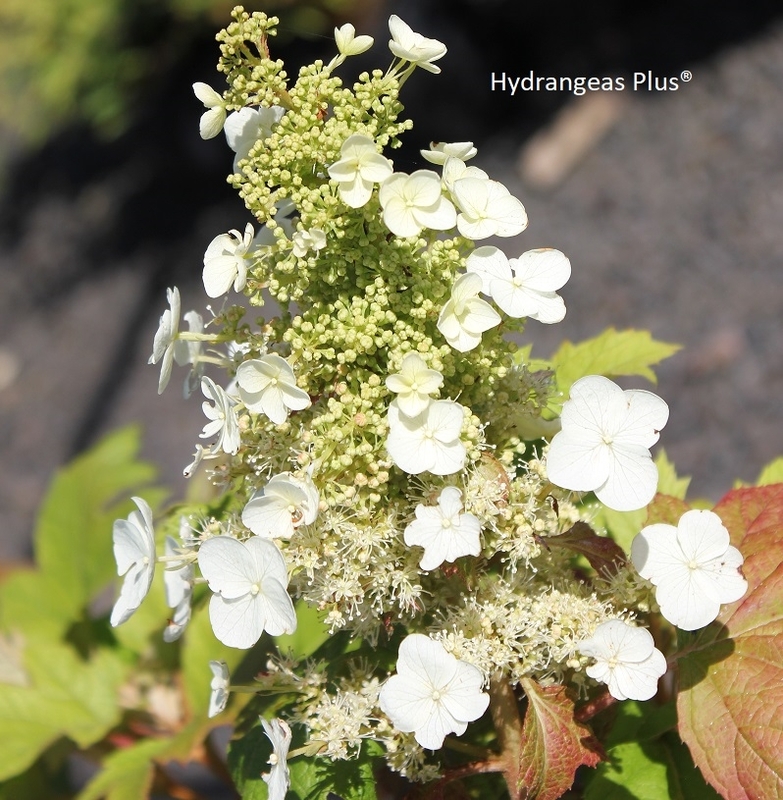 This Oak Leaf hydrangea is one of Michael Dirr's introductions with eye popping color all year long. The panicle creamy white sterile flowers bloom in June for most areas and don't stop looking fantastic until the first hard frost. Dramatic wine red color on these large round sepals will make you stop in your tracks. Fall color on the leaves, too.